Thanks to efforts of Al Kossow of bitsavers.org and Michal Necasek of OS/2 Museum we got the system to boot on VirtualBox! 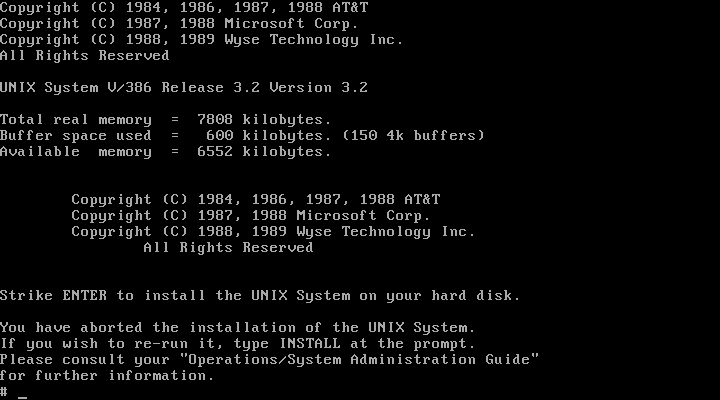 Interestingly Wyse Unix is a supported os emulation for iBCS. 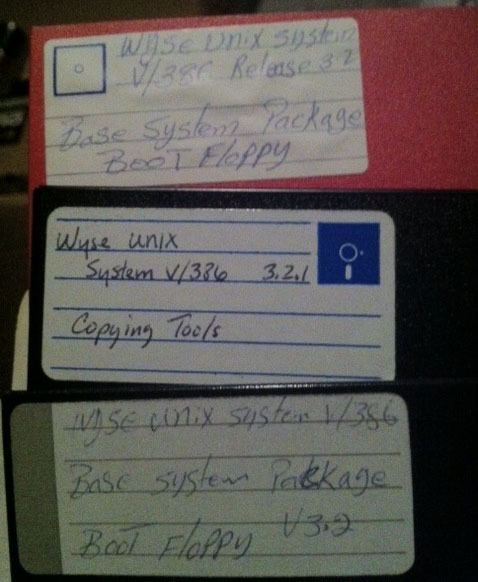 Download Wyse Unix Boot Floppy in ImageDisk format. Download Image converted to raw format. Any binaries that we can try? Woah! This is awesome! I wish I could contribute to this. Good luck with finding the other floppies! Actually you can contribute! First of all Michal has done great but manual job of converting IMD to RAW format. It would be best if someone tried to convert the image using ImageDisk and write it back to a virtual floppy disk in Qemu or Bochs. Note this has to be 1.2MB floppy output. ImageDisk program will only work in real machine. Michal told me that “imdu /b” produces good disk image. Roy, where are you from? I have uploaded result of imdu /b. I have tried Bochs 2.3 – weird characters. Bochs 2.4 blank screen. Qemu 1.1 and 1.2 – blank screen. Can you try other emulators? Or perhaps I’m converting or running it in a wrong way. WYSEBOOTraw.zip works in bochs, but it print black text on black screen, I have to use Copy button to see the screen contents. BTW it fails to boot in vbox 4.1.16. Tenox, I think you might be interested in this. http://www.ebay.com/itm/Wyse-Unix-System-V-386-Base-System-Software-For-D386-On-Tape-NOS-/131342178387?pt=LH_DefaultDomain_0&hash=item1e949a9853. 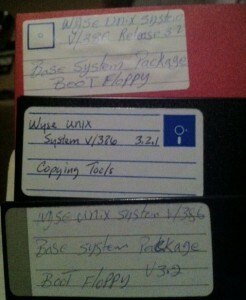 I managed to find a tape copy of Wyse Unix. I don’t know the condition of the tape, but it’s worth a look!